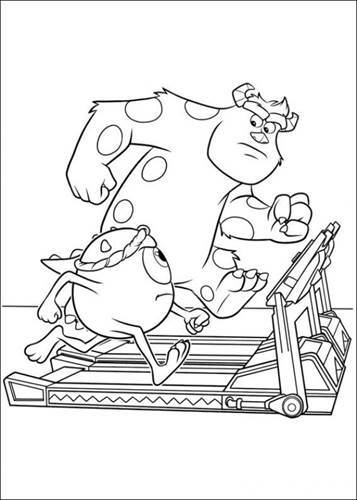 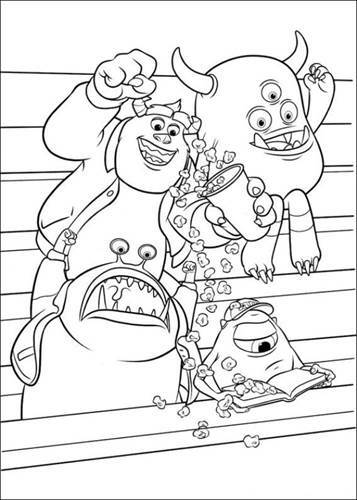 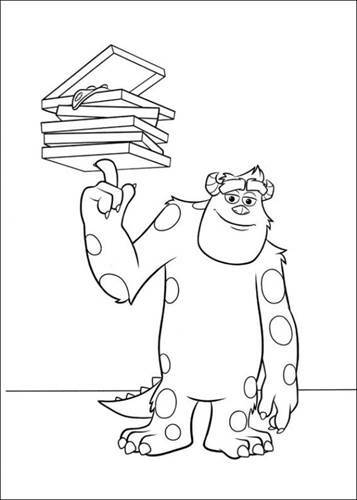 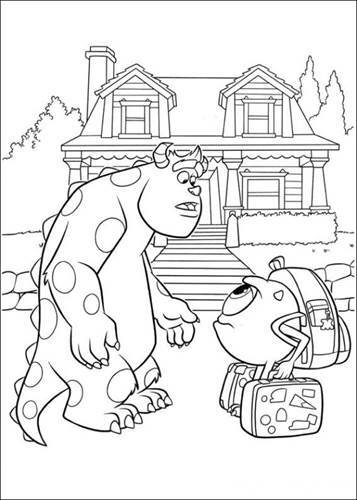 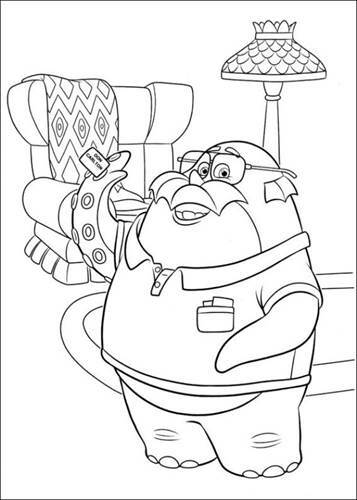 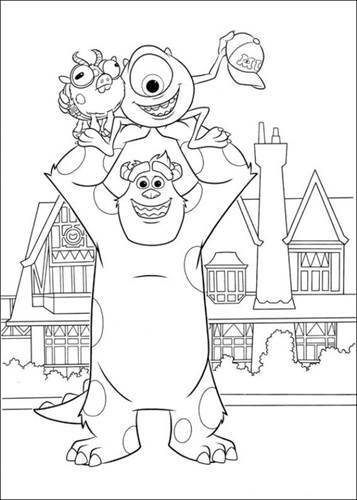 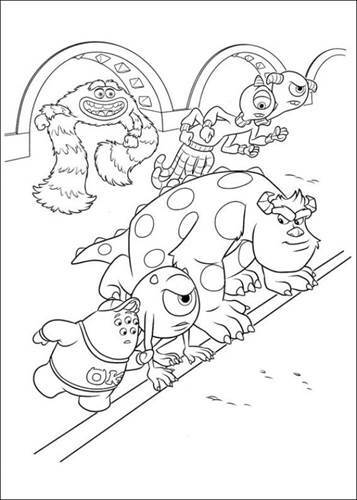 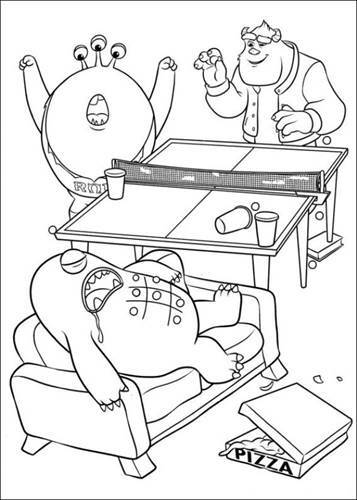 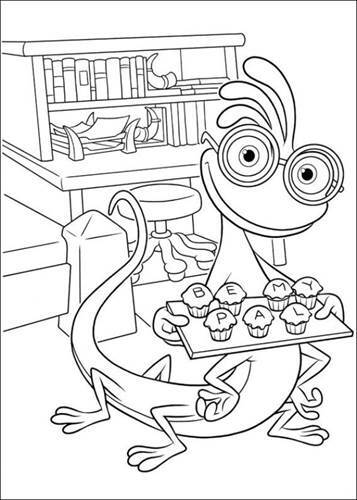 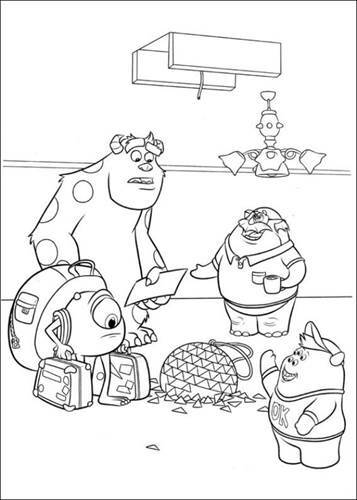 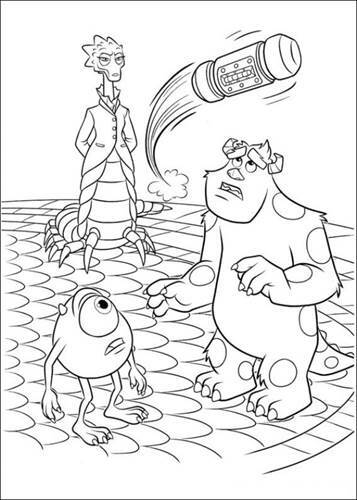 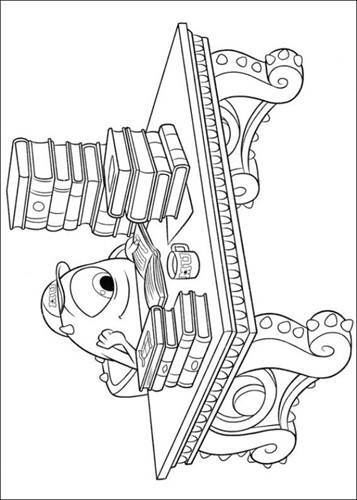 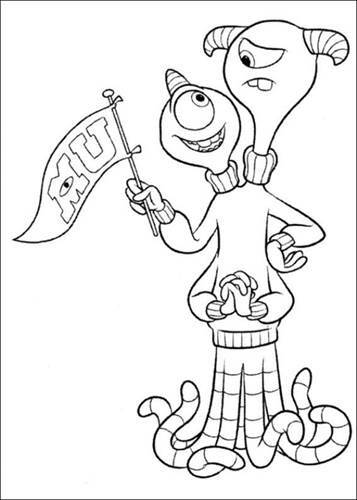 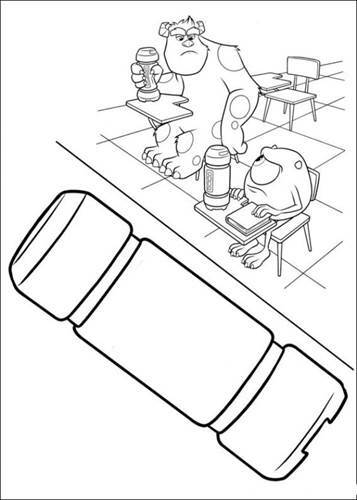 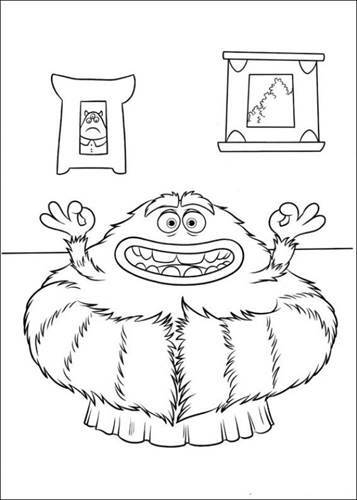 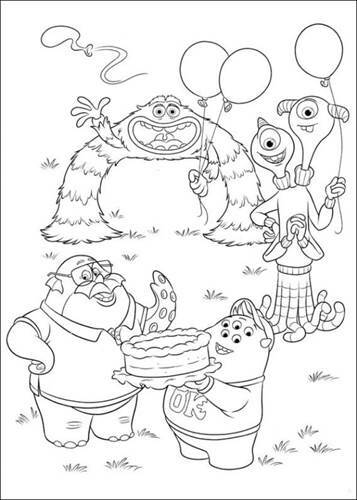 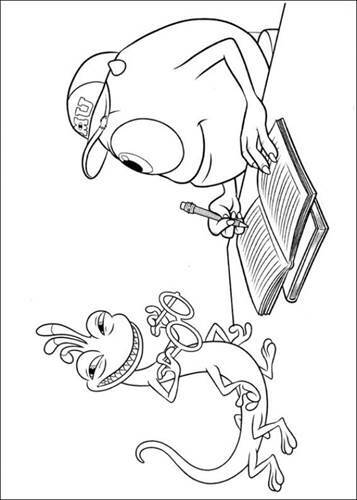 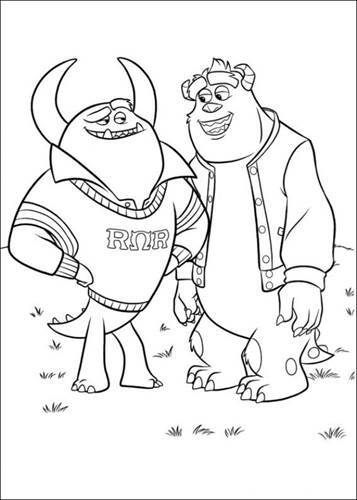 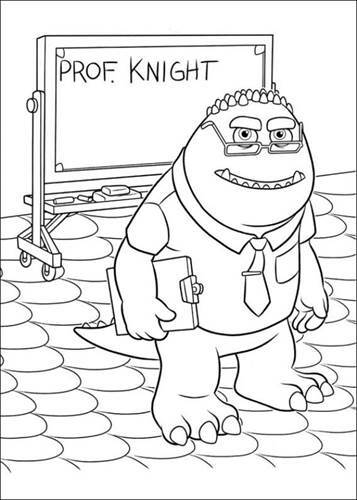 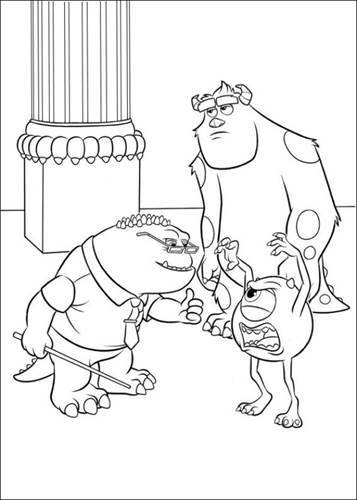 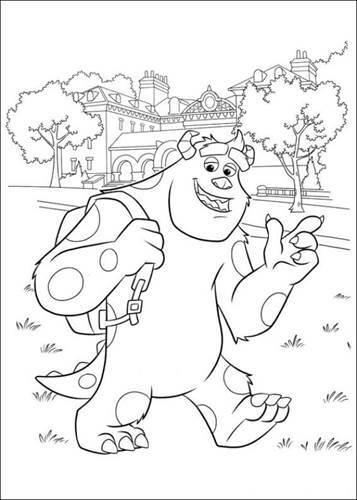 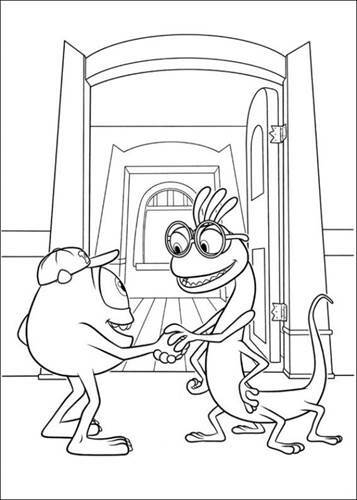 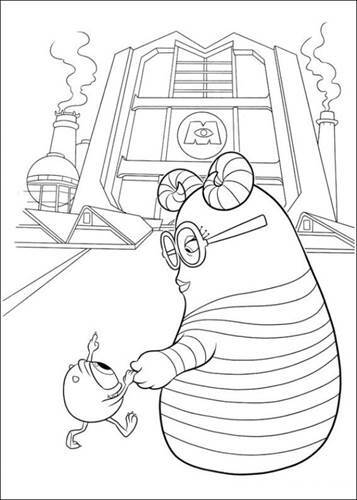 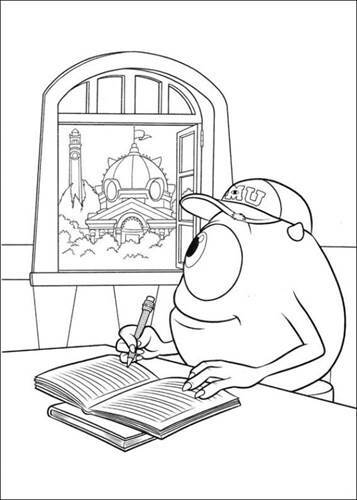 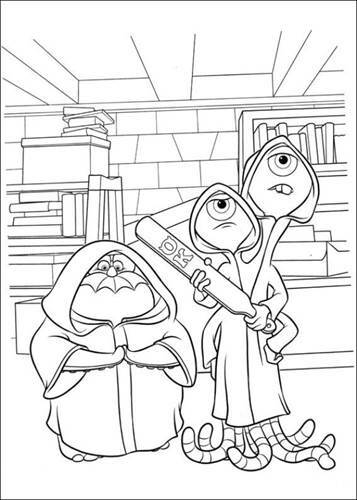 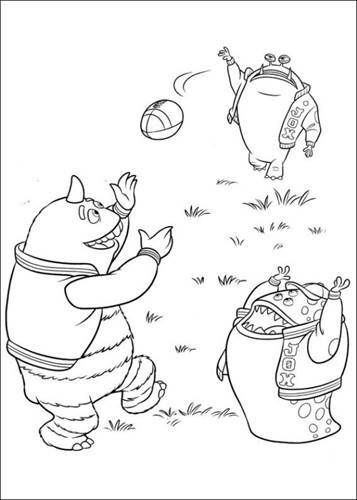 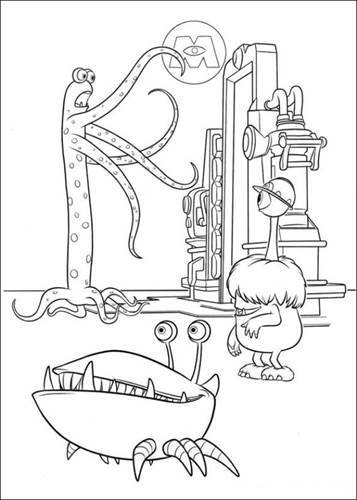 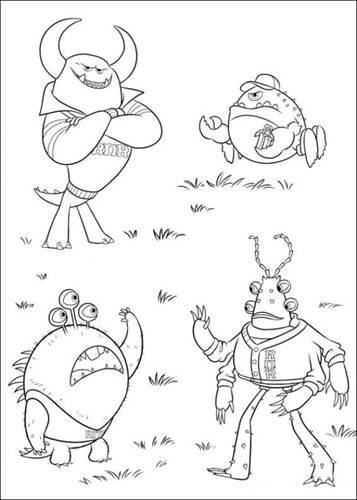 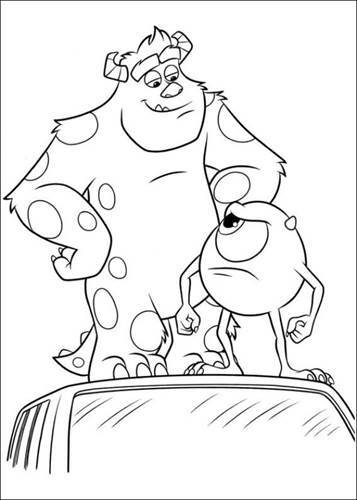 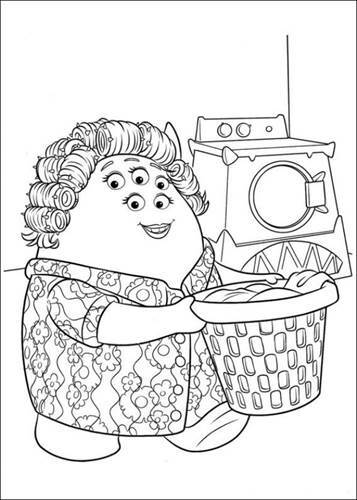 Coloring pages of the sequel of Monsters Inc., Disney Pixar. 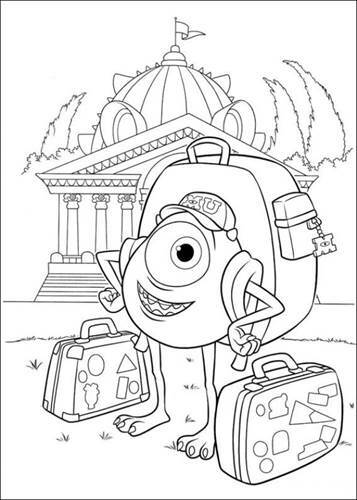 Michael "Mike" Wazowski, a six-year-old monster, visits Monsters Inc., a scaring company, on a school field trip. 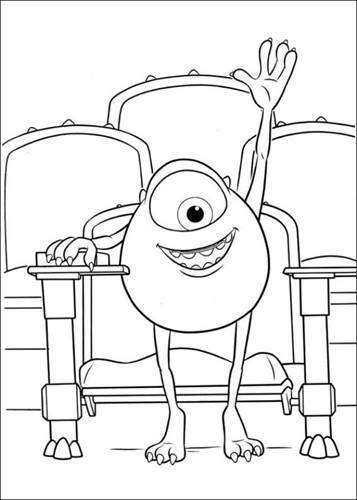 During the visit, the class meets Frank McCay, an employee of the company who works as a "scarer", entering the human world to scare children at night and harvesting their screams as energy to power the monster world. 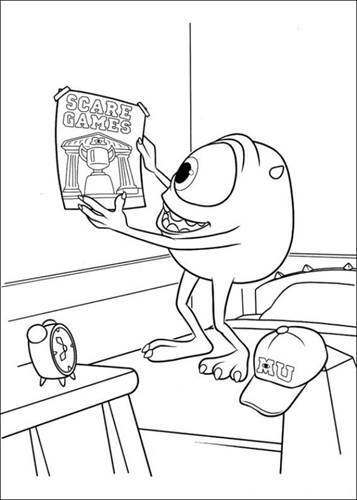 Mike, enchanted with the idea of being a scarer, slips through Frank's door before anyone can stop him, where he watches Frank's scare performance, then follows him back through the door to the monster world. 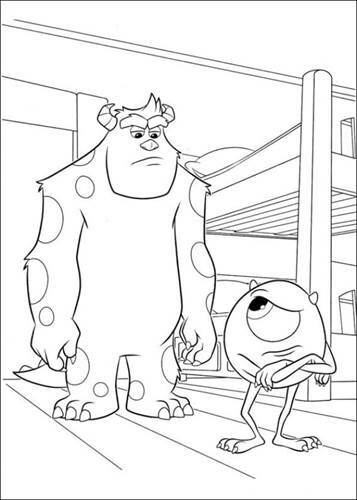 Frank scolds Mike, but is impressed with his ability to have followed him unnoticed, and gives him his Monsters University hat as a souvenir. 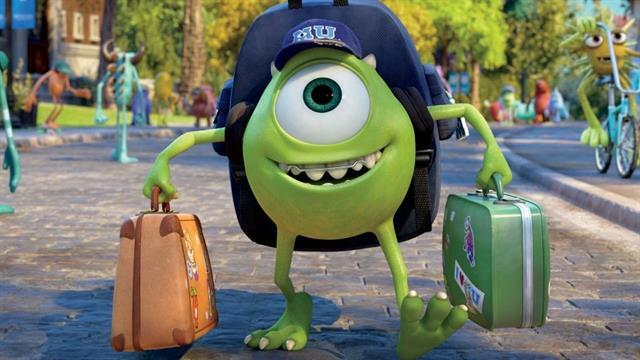 Oblivious to his teacher's later admonishments, Mike dreams of being a scarer when he grows up.